Discover the unique and exclusive beauty of the Josephine, double heart-shaped diamond engagement ring. 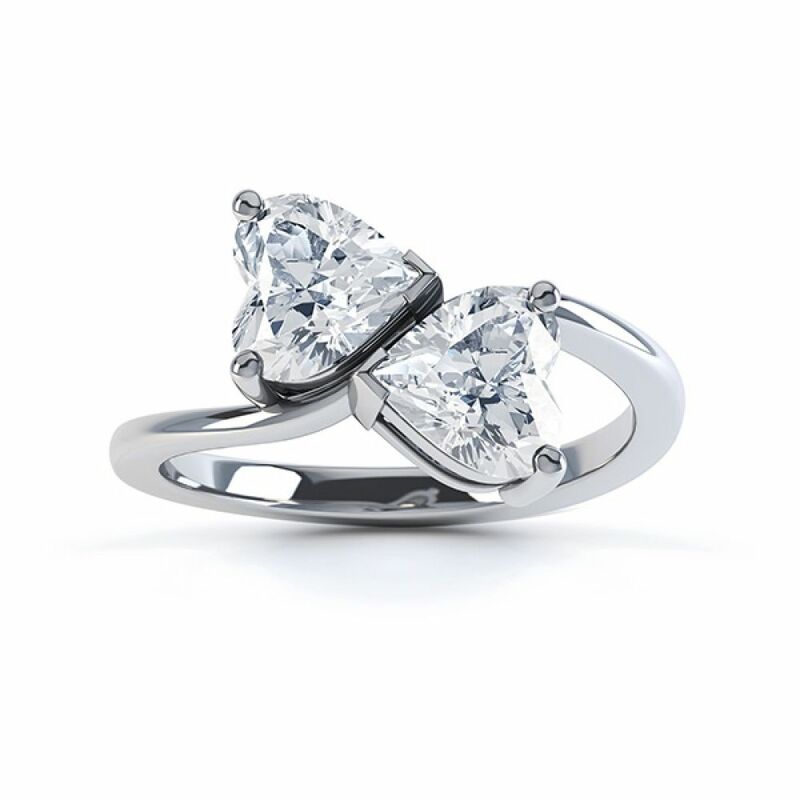 Styled with two perfectly matching hear-shaped diamonds, this distinctive ring design is available in a choice of carat weight options and stands apart as the Serendipity signature diamond engagement ring. 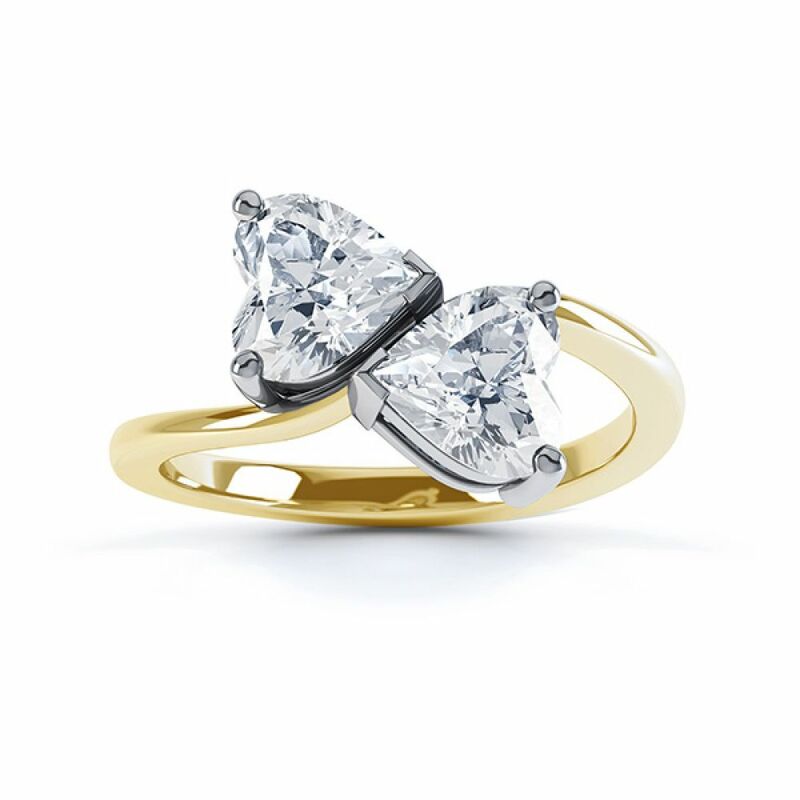 The Josephine Engagement Ring is our signature ring design from the Serendipity Diamonds collection. 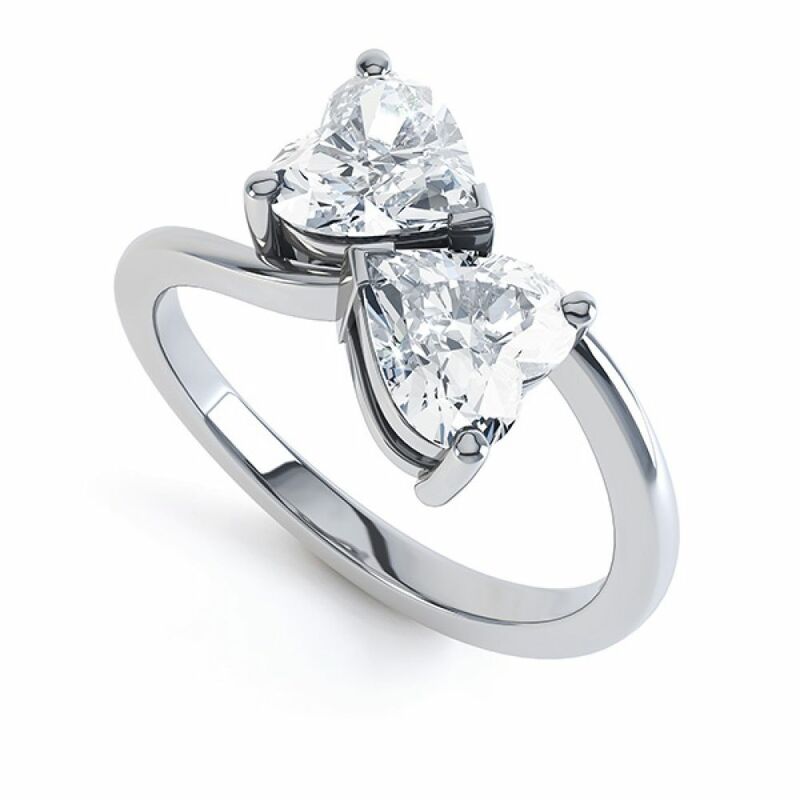 Select your perfect combination of precious metal and total Diamond weight from our menu choices. We hand-match each pair of Diamonds—chosen for their defined shape to achieve the perfect balance of symmetry and beauty for this exquisite two stone ring design. Crafted from three separate parts, your ring will be created over 4 weeks, during which time the ring is cast, prepared, mounted, hallmarked set and finished. The final commission gleams with a mirror polish, complementing the sparkle of each Heart-Shaped Brilliant cut Diamond. This extraordinary design benefits from a comfortable court shaped band, perfect for daily wear, measuring 2.5mm in width. Our main image (below) shows the Engagement Ring alongside a bespoke shaped Wedding Ring contoured to the setting. Your completed commission will arrive beautifully boxed—ready to be transferred to the additional surprise pocket box, in readiness for the perfect moment. 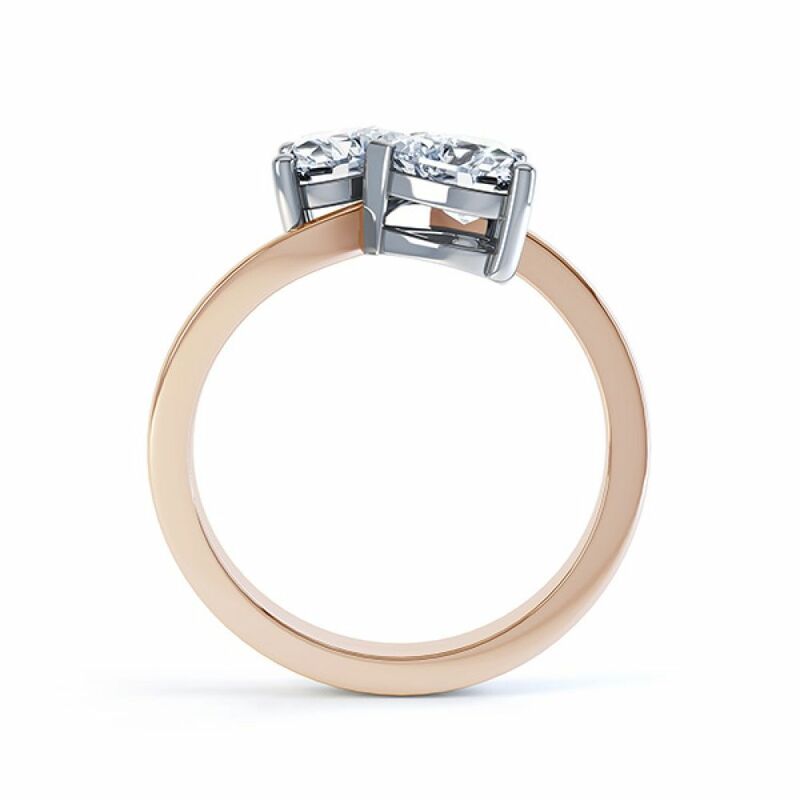 This exquisite design can be crafted in a choice of precious metal combinations including luxurious 950 Platinum, 18ct White Gold, 18ct Yellow Gold, 18ct Rose Gold and Fairtrade Gold. Josephine, 1 carat version shown with a bespoke shaped wedding ring available to order separately. 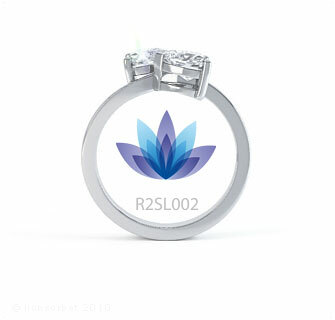 Please see our ﻿shaped wedding rings information page﻿ for alternative wedding ring styles.